Creative tools will evolve over time to bring you immediate access to graphic and web design tools, tips and techniques for busy creatives. From reference guides, to guidelines, templates to technical papers – Creative Tools will contain items you won’t be able to live without. just the right color for your web site or blog? When you’re adding a color to your Web page with HTML, sometimes you can just type in the name of the color. But more often than not, you’ll need to use what’s called the hex code, which is something that the browser will be able to understand. W3Schools has a great collection of color charts that can even allow you to select two colors and see how they work together. 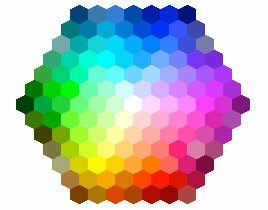 Click on the color chart to the right to go to W3Schools color resources. Click on the samples below to go directly to W3Schools resource pages to learn about standard HTML tags, HTML 5 tags, and to find out what those HTTP error code messages really mean.